If you like seafood and Japanese cuisine, Daikiya Japanese restaurant is a must-visit restaurant in Hong Kong, with only HKD 248 you have a full 3 hours to enjoy your exotic Ala Carte Buffet lunch, or HKD 268 for 1 1/2 hour Buffet dinner. Gibson strongly recommends the buffet lunch as you have more time to eat all the expensive yet delicious seafood such as Sea Urchin Sushi, Alaskan King Crab legs, Yellow Tail Sashimi and many more, which is a mission impossible in Malaysia's restaurant. 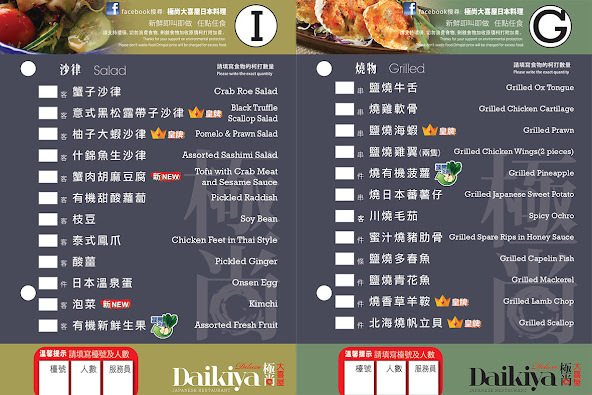 There is a thick booklets with leaflets on the table that let you order any dishes as many times as you like, as long you can finish the food. Don't under estimate the power of this small pack of Wasabi paste, they are sufficient enough to last for the whole dining session, as long you don't choke too bad. 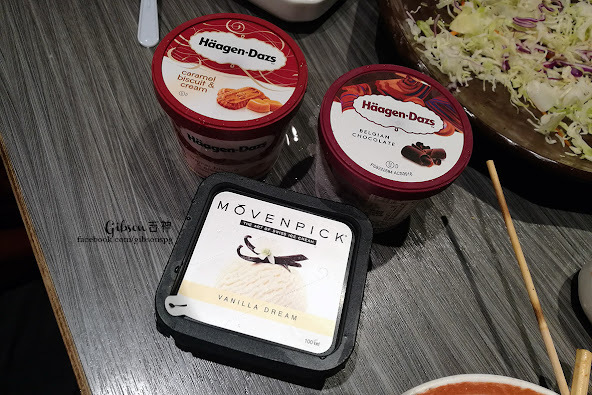 After meal, each person get to order a cup of Häagen-Dazs ice cream. One more thing, this restaurant is Reservations Recommended. Call 3188 2882 or 3188 1988 to secure your table.